At present revival of traditions of needlework is becoming increasingly important. Home decoration with the goods, which are made with your own hands, is both aesthetic and protective function. The gift made by your own hands, gives warmth and tenderness with which you created it. ТМ PEPPY® represents sets for needlework in the art of patchwork with which you can create stylish and functional goods, for both beginners and experienced seamstress. 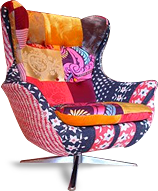 Patchwork - "scrappy" needlework is sewing the whole goods with the help of different pieces of fabrics and scraps. 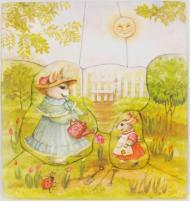 In the art of patchwork you can make as blankets, curtains, napkins, tablecloths and bags, panels, and even clothing. 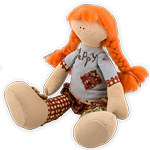 Also fabrics can be used to create rag dolls. All sets PEPPY® include simple and clear diagram of assembling of decorative panels or detailed step-by-step instructions with pictures and details templates. Sets PEPPY® are equipped with cotton fabrics of one hundred percent quality, made specifically for patchwork: perfectly ironed, sewn, little slices crumble, do not fade when washing, ecological and durable, and thus practically do not shrink. Video instruction for CPW-0128 "Bunnies"